PRP, Platelet Rich Plasma Therapy, is a medically proven remedy for hair loss. Suitable for both men and women, PRP is an ideal non surgical treatment for people suffering from alopecia, hair thinning, male pattern baldness, female pattern baldness, alopecia areata and other types of hair loss. PRP therapy is a revolutionary repair system that stimulates hair growth in the thinning or bald areas. Revivo Hair offers high quality PRP to fix your hair loss. As we use your very own blood in PRP therapy, it is a safe and natural procedure and most patients can have the procedure. During a consultation the PRP consultant will assess if you are a suitable candidate for PRP treatment and we’ll answer any questions you may have regarding the procedure. If required or you want to we can set up an appointment with one of the surgeons to discuss further in detail. A small volume of blood is drawn and treated in a specialised machine. During this the plasma containing the platelets and other growth factors will separate from the red blood cells. The bald or thinning area is anaesthetised and the PRP is injected into the skin to activate the hair follicle. 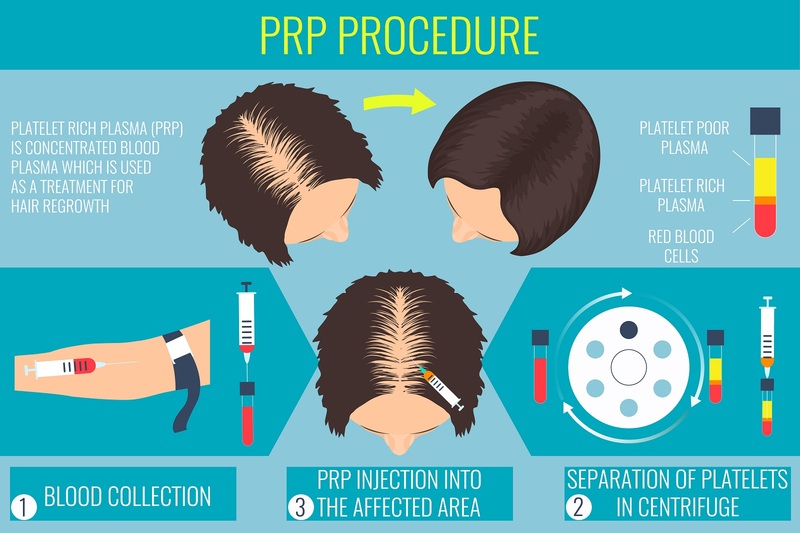 PRP is part of our comprehensive medical hair restoration protocol where hair loss is controlled and regrowth generated through various means. The Platelet Rich Plasma therapy is suitable for men that can stimulate hair follicles to grow. It is an ideal therapy for men who are experiencing male pattern baldness. The procedure is also used to treat androgenic alopecia, alopecia areata and other types of hair loss. PRP is rich in growth factor that contributes to hair growth when applied to the scalp. The treatment is suitable for women who are experiencing hair thinning and female pattern baldness. The procedure is safe and is long used by orthopaedists to promote healing and growth of tendons. Platelet-Rich-Plasma (PRP) is a relatively new medical treatment for hair loss. Revivo Hair recommends using PRP along with FUE hair transplantation to speed up the repair and healing process and to induce faster hair growth. This can be combined with derma roller treatment. PRP with or without Microneedling can be used to slow down hairloss and to regrow hair.